Available in 30 dazzling colors! Adheres to wood, metal, foam, ceramic tile, Foamcore, Cor X, Vacufoam, P.V.C., polyethylene and fabric. Colors can be mixed for usual effects. 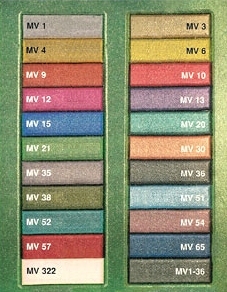 Call or e-mail for glitter coat samples and technical data.